Students and faculty in the Music department celebrated changes to the department’s undergraduate curriculum with a musicology exhibit in the Houghton Library this month. The library and Music department partnered to host an exhibit about the life and the work of Guido Adler, a pioneer in the field of musicology. It opened on Sept. 11 and runs through Dec. 19. Documents showcased at the exhibit came to Harvard in 2015 from the University of Vienna. Adler’s academic papers were seized by Austrian Nazis after his death in 1941 and remained in the University’s library until 2004, when a project to return stolen property to the descendants of Austrian Holocaust survivors began. At the time, Harvard’s Music faculty pushed to acquire the documents, many of which are being displayed for the first time. In March, the Faculty of Arts and Sciences approved a new Music curriculum for undergraduate concentrators that decreases the number of courses concentrators must take and makes more courses eligible for concentration credit. 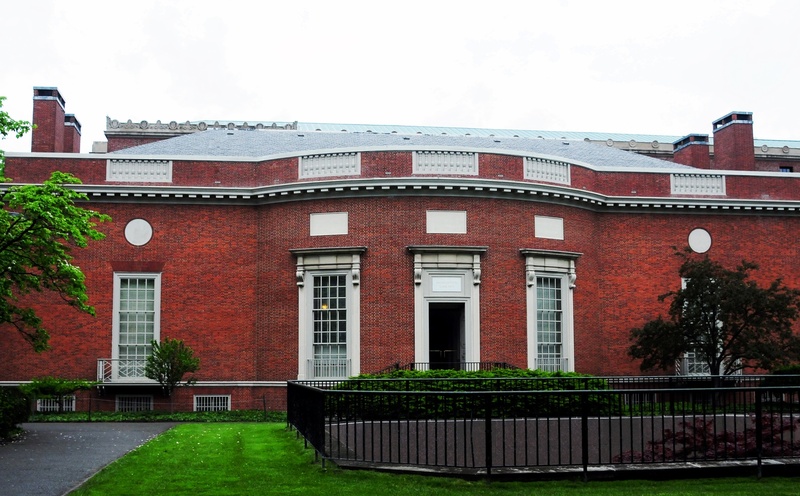 Christina Linklater, who curated the exhibits at the Houghton and Loeb libraries, said that Adler’s work is powered by the kind of musical exploration that changes to the curriculum encourage. Under the new curriculum, concentrators no longer have to take several theory and music history requirements, and may now count more performance-based classes for credit. Music professor Anne C. Shreffler said the new curriculum allows students to “broaden their horizons” in the field, and better reflects concentrators’ diverse musical backgrounds. “People really wanted to get credit. Not just course credit, but to get acknowledgement of their efforts as musicians and as performers,” Schreffler said. Music professor Alexander Rehding added that while the old curriculum “had a fair amount of expectations that were ideally met by prior education,” the new curriculum is “more inclusive.” He added that many students without prior experience and training were likely excluded from the Music concentration under the old system. For students, the changes are largely welcome. Austin Weber ’19, a joint Music-Visual and Environmental Studies concentrator, said he hopes the changes will bring more people into the department, which currently houses 20 undergraduates. Schreffler added that many concentrators feel similar to Weber. “I personally have heard only positive comments so far from students,” she said. The documents on display include an autographed Gustav Mahler symphony, a letter from Adler to New York Times music critic Richard Aldrich, and his transposition of a 15th century song using modern musical notation.